Solid coloured background papers are a great tool to have when creating your scrapbook layouts and cards. We certainly don't want to disappoint, so here are the colour coordinated solid background papers for our "Nitwit Thicket" Collection. 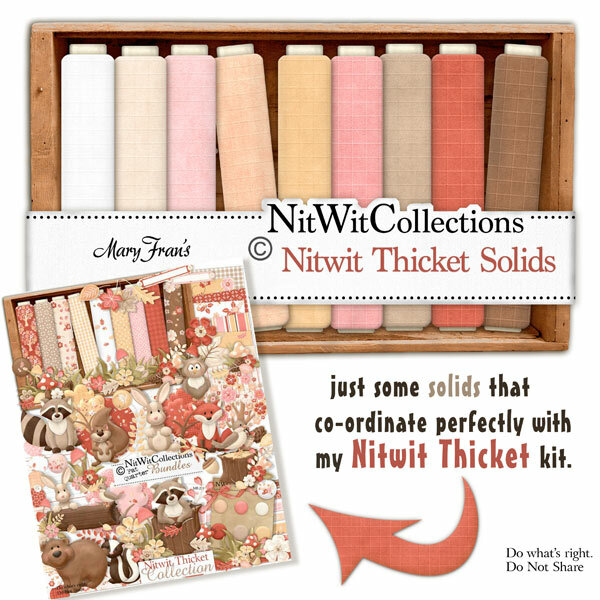 These solid digital papers are NOT included in the FQB "Nitwit Thicket" Collection so please don't miss out! 11 Solid digital background papers with a cross lined embossed pattern in them, that coordinate with my "Nitwit Thicket" Collection.